Gov. Pat Quinn on Monday signed three road safety bills into law, including one that closes a loophole that allowed a teen to get his driver's license just days after a crash that critically injured a Minooka teen. 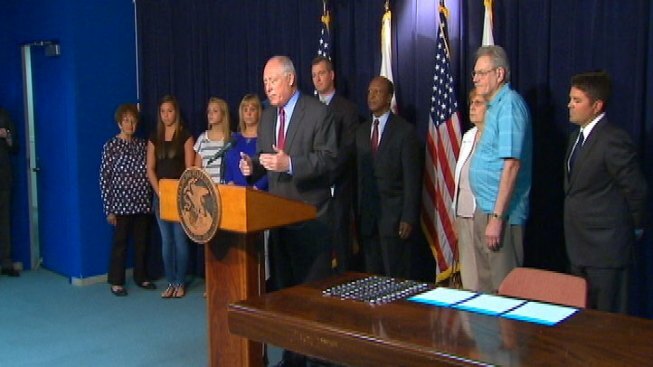 "It was a situation that was not good for the people of Illinois or highway safety," Quinn said before signing the legislation -- HB1009 -- that's become known as "Kelsey's Law." The bill was named after Kelsey Little, who was struck in 2011 by the passenger-side mirror of a red truck as she and several friends walked along the side of a Grundy County road. The crash split Little's skull open and broke all of the bones in her face. The driver of the truck was 15 years old at the time and didn't have a driver's license. He did not initially stop but later returned to the scene after being confront by another witness driver. The driver, who NBC Chicago has not named because of his age, was able to obtain his driver's license three days after the crash. It was a fact that angered even Secretary of State Jesse White, whose office administers licenses. Gov. 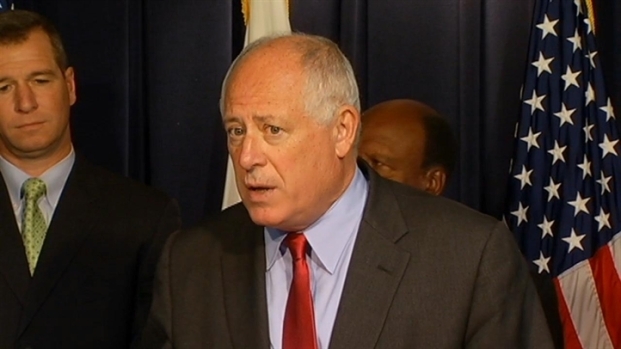 Pat Quinn signed two new traffic laws to help "eliminate the option of court supervision for drivers involved in fatal accidents and prohibit the issuance of driver’s licenses to those under 18 years of age with outstanding traffic violations." “It’s the kind of commonsense legislation that will make people of Illinois safer, our lives better and my family a little happier," Little's mother, Nancy Deckleman, said after Monday's bill-signing. "Knowing that for everything Kelsey’s been through that something good will finally come of it." The new law took effect with Quinn's signature. Other bills signed by Quinn beef up adult drivers' education requirements and limits court supervision as a sentence when a driver is charged in a fatal accident. "Patricia's Law" was named for a woman who was killed by a distracted driver. The driver was sentenced to court suspension which means he didn't get a conviction on his record.